This Christmas, Pittock Mansion takes a look back at the hobbies and pastimes of the legendary family in its annual holiday extravaganza. From knitting to hiking, beekeeping to music, the decorations highlight familiar and not-so-familiar hobbies enjoyed by Henry and Georgiana Pittock, their children and grandchildren who resided in the opulent mansion 100 years ago. Volunteers have decorated each of the rooms in the 16,000 sq. ft. mansion into a holiday showcase. Each room displays items related to one or two hobbies, such as skiing, opera, tea parties or card games. The decorated mansion is a holiday treat for locals and tourists alike. Adding to the ambiance are musical recitals in the music/living room with stunning views of the Portland skyline. The R. R. Thompson House will be glad to host your visit to the Willamette Valley of Oregon. 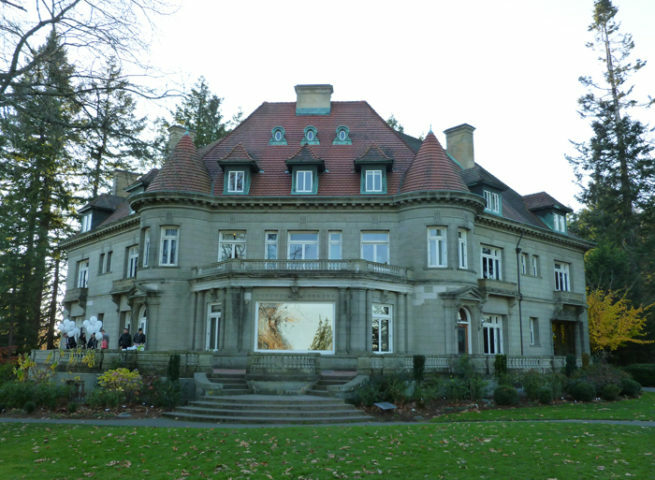 We are located in the ‘Great Little Town of Carlton,’ and just an hour’s drive to Pittock Mansion.